Vacances Actimonde - Annuaire Locations Vacances Vacances Particuliers - Best Riad Marrakech. Annonces de Location Vacances entre particuliers, offres de location vacances et de location saisonnière Vacances Particuliers. Location vacances Best Riad Marrakech. Location de vacances Chambre d'hôte capacité jusqu'à 5 personnes. Best riad in Marrakech invites you to its incredible atmosphere. 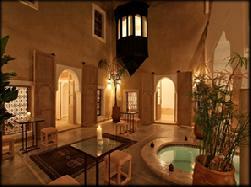 Be part of this beautiful guesthouse (A real jacuzzi ) in the heart of the medina of Marrakech in Morocco. Best riad in Marrakech is a Riad in Marrakech, turned to be a mansion to serve you with quality accommodation and catering. Annuaire Locations Vacances Vacances Particuliers - Best Riad Marrakech. Plus de détails sur l'offre de location Best Riad Marrakech. Best riad in Marrakech invites you to its incredible atmosphere. Be part of this beautiful guesthouse (A real jacuzzi ) in the heart of the medina of Marrakech in Morocco. Best riad in Marrakech is a Riad in Marrakech, turned to be a mansion to serve you with quality accommodation and catering.